Yvonne B WHITMAN of Prescott, a homemaker, died December 18, 2007. She was the beloved wife of the late Richard and dear mother of Brother Michael Whitman, Judy (Francis) Jordon, Tina ( Gary ) Morgan, Rick (Fran) Whitman, Tom Whitman, Kathy (Jerry) Robinson, Robert (Denise) Whitman, Becky (Don) Maul, Sandra (Ed) Schulte and Bill Whitman. She was the grandmother of 37 grandchildren and 34 great-grand-children. She was one of fifteen siblings. She was the sister of Theresa Miller, Sr. Mary Jesus O.C.D., Raymond Smith, Katie Greene and Cecilia Vic. Mrs. Whitman was a volunteer at St. Stephens Catholic Church. She was a wonderful, nurturing mother and grandmother "the best". She was a clown in the Skidway Lake Fourth of July Parade. She enjoyed ice skating, volleyball, painting, and walking. Yvonne was a mischievous "tom-boy" growing up. A Funeral mass will be held at 11:00 A.M., Saturday, December 22, 2007 at St. Stephen's Catholic Church in Skidway Lake . The family will receive friends at church Saturday morning from 9:00 A.M. until the time of service. Interment at Mills Township Cemetery . Fr. Alex Boruta O.F.M. officiating. Memorials suggested to Our Lady of Guadalupe Monastery in Ada , Michigan . Arrangements handled by the Prescott Chapel of the Buresh-Bennett Funeral Home. 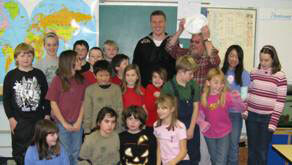 the 3 rd – 6 th graders after a presentation and question and answer session. ago and Mr. Myers remembers Neal writing a paper about wanting to join the navy. 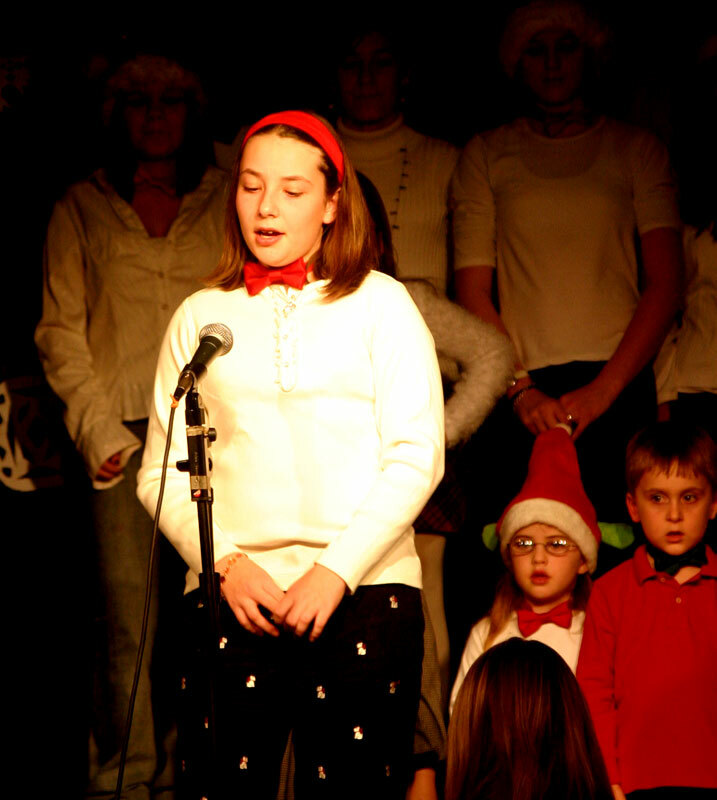 "Let's All Sing Holiday Songs"
The BI Community School Holiday Program began shortly after 7 p.m. on December 18th, 2007, at the Holy Cross Hall. It was titled "Let's All Sing Holiday Songs!" 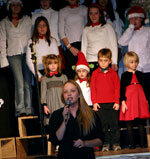 The program was directed by Miranda Roy, music teacher who introduced the program. 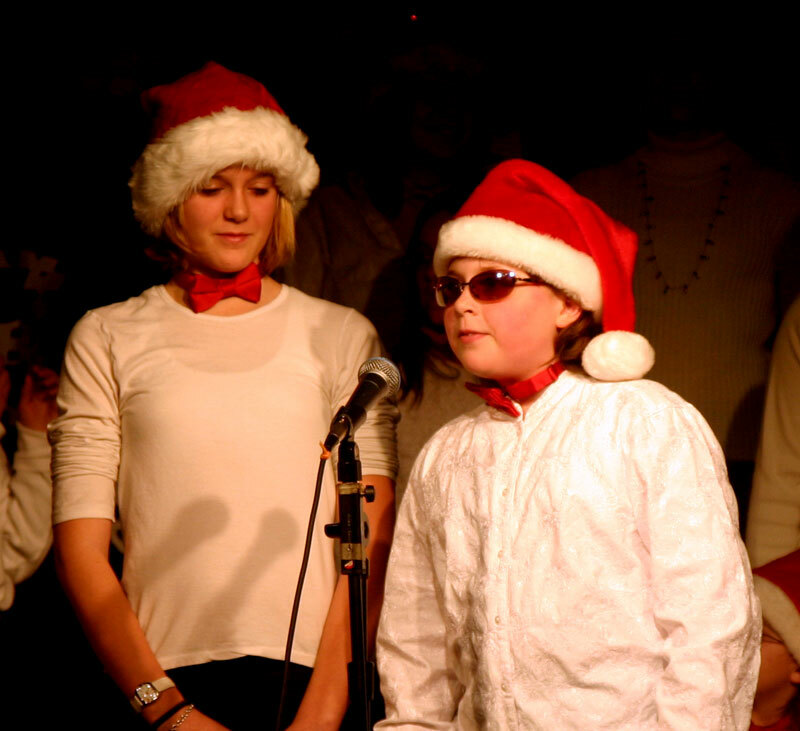 The first song on the program was a traditional Christmas Carol, "Deck the Hall", with a solo by Sarah Avery. 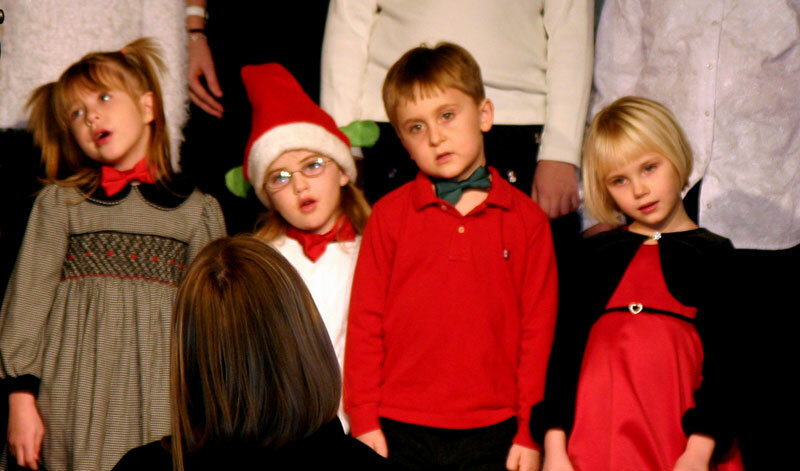 The next two songs were "Feliz Navidad" and "Hanukkah, Oh Hanukkah", with the little ones excited to perform. 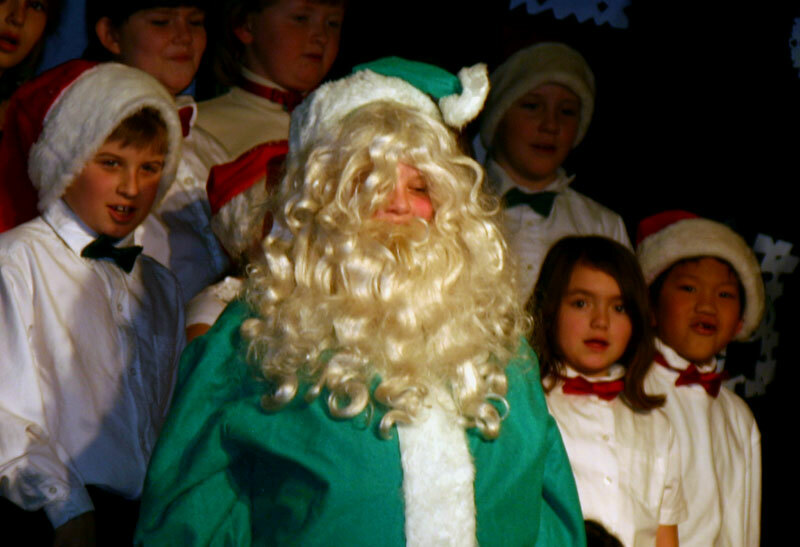 "Here Comes Santa Claus" cam next with a solo by Erin Myers-Dixon. 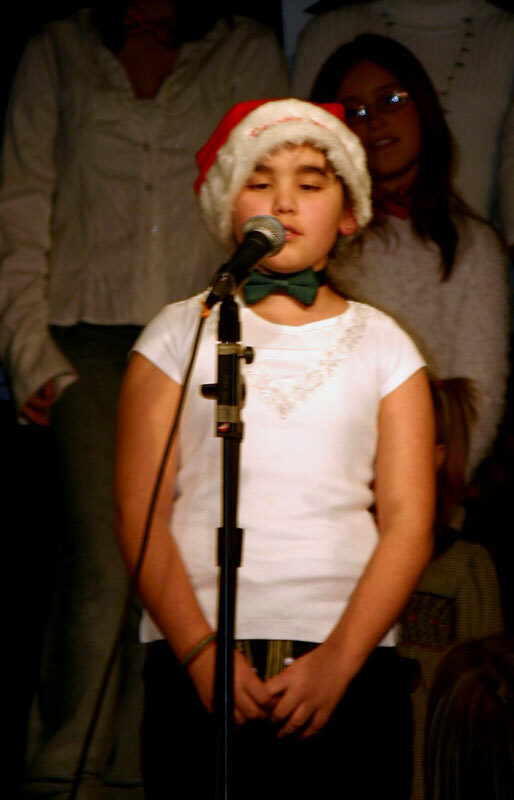 Meg Works was next up with a solo in "Jingle Bells." 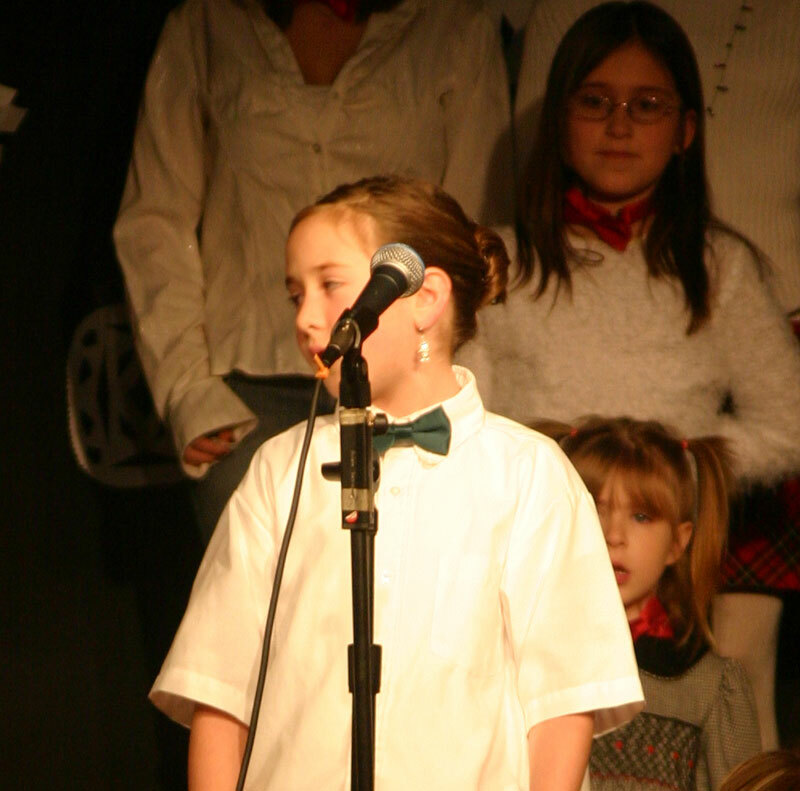 Hannah Roberts and Erin Boyle were next with a solo in "Jolly Old St. Nicholas." 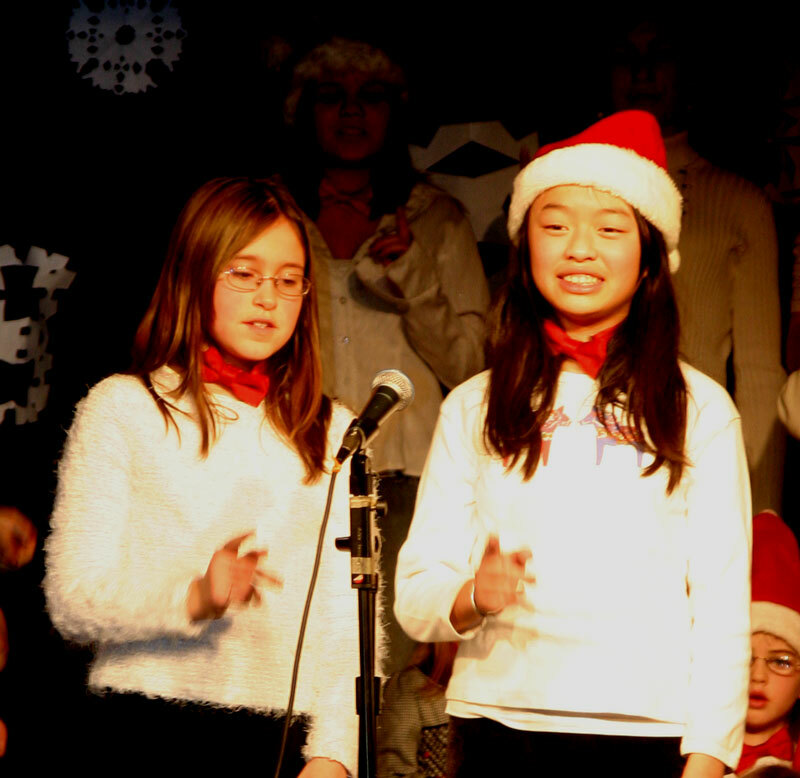 "Over the River and Through the Woods" was sung with solos by Emily Boyle and Olivia Cary. 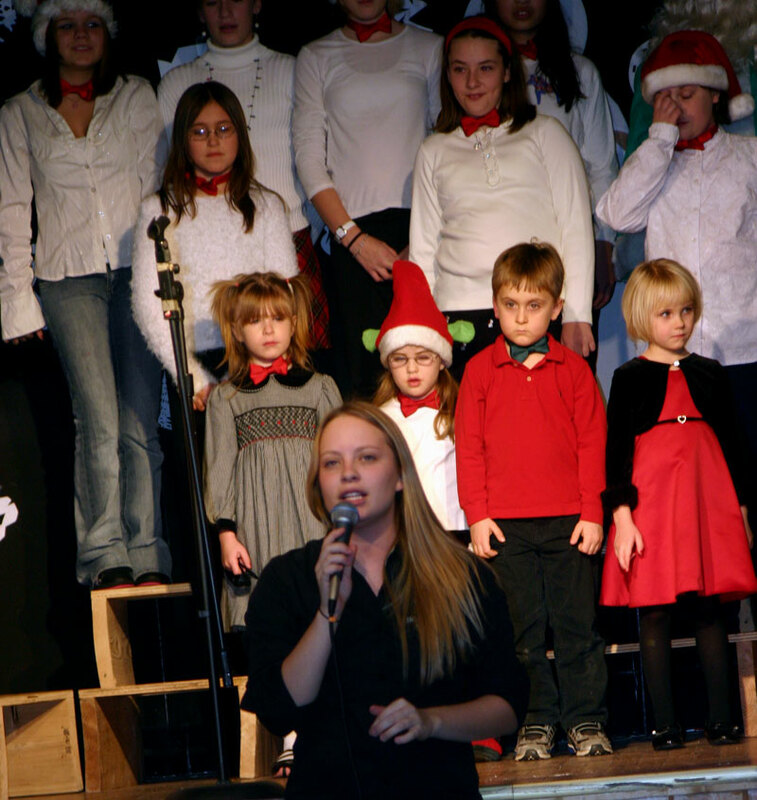 "Rockin' Around the Christmas Tree" was sung by the entire choir of elementary and junior high students. 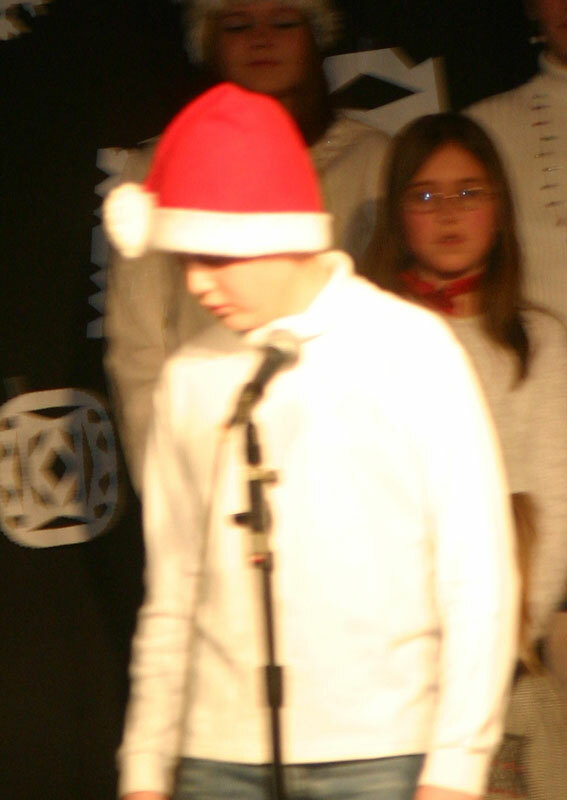 This was followed by "Rudolph the Red-Nosed Reindeer" with solos by Jewell Cushman and Ron Marsh. 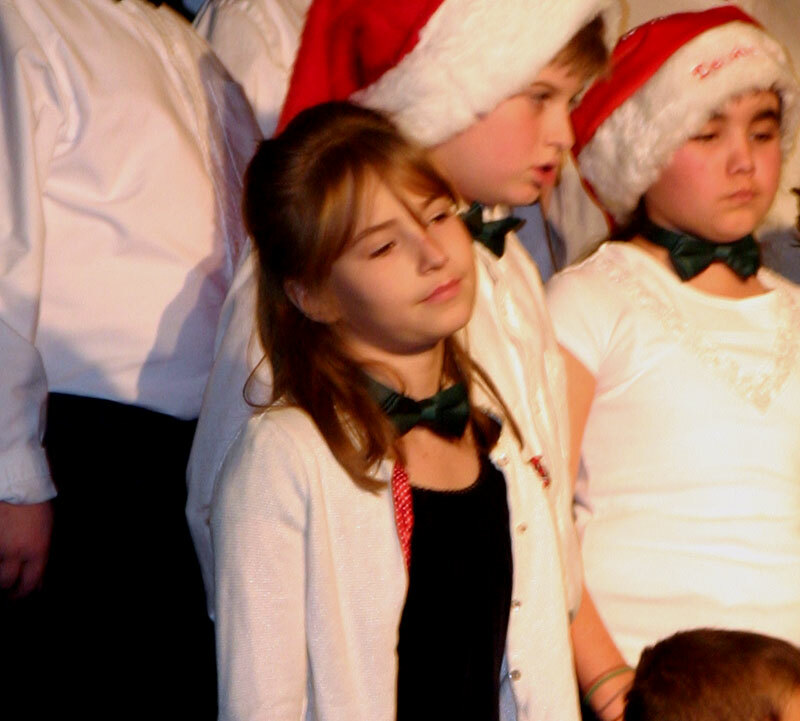 Emily Burton had a solo in the traditional "Santa Claus is Comin' to Town," which was followed by the whole group singing "Silver Bells." 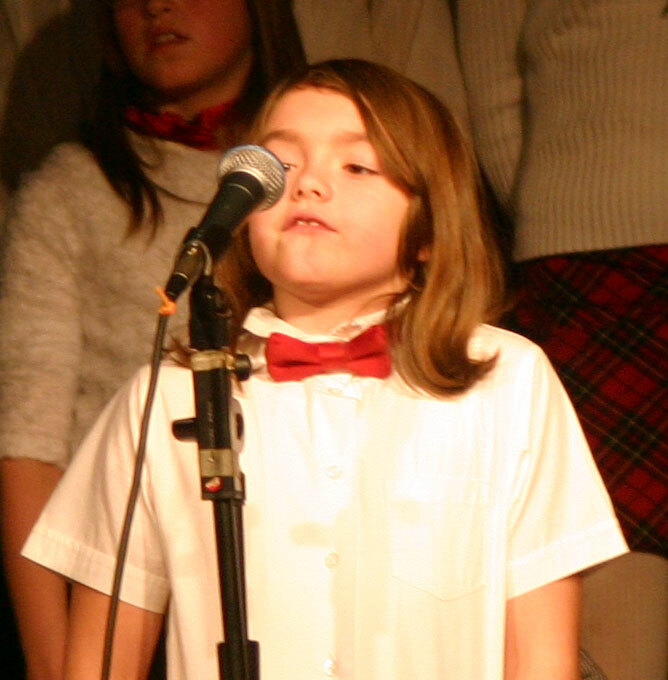 The finale was "Up on the Housetop" with two verse solos sung very well by Hilary Rasch. 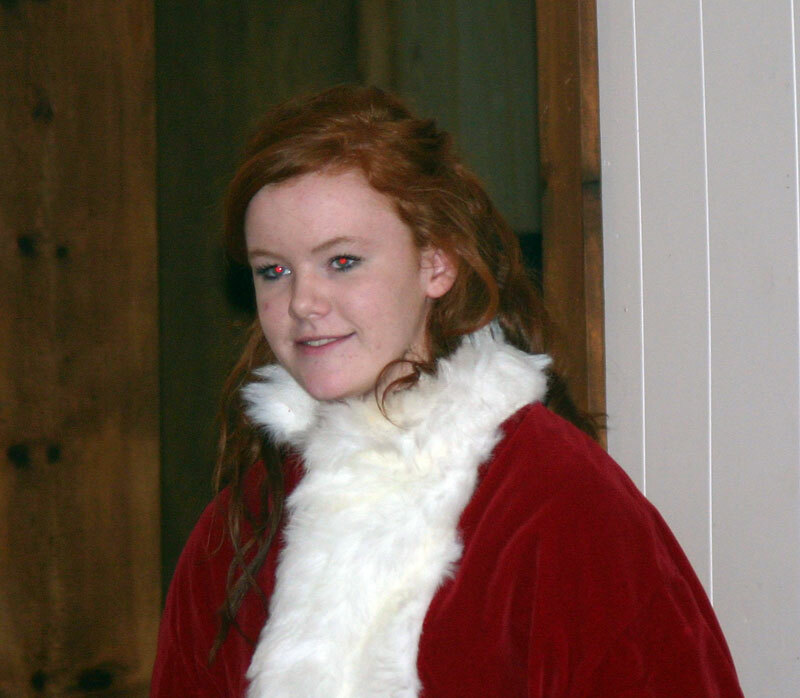 The Beaver Island Community School Holiday Program ended with one of Santa's Helpers, Heather McDonough, passing out the candy. 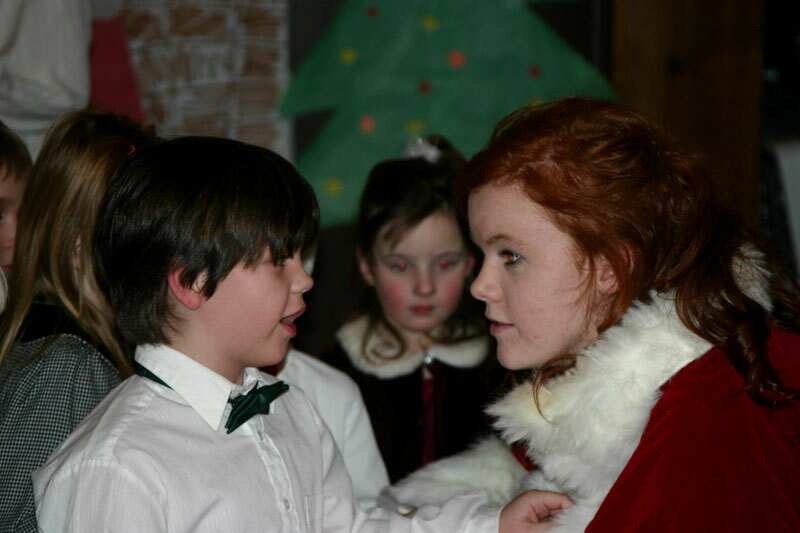 Probably the most precious moment of the night was the intense concentration on this little boy's face as he spoke with Santa's Helper. Donegal Danny's has the Boodlers performing on December 21, 2007. 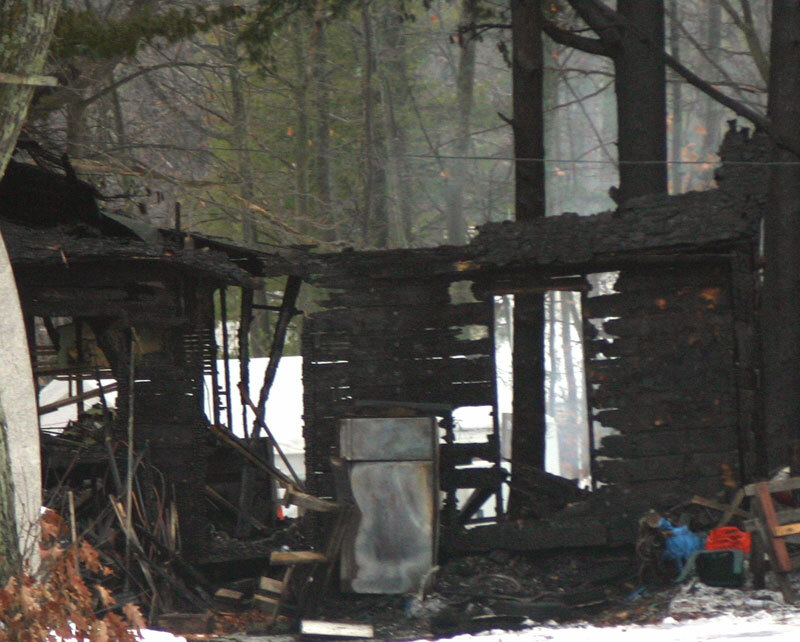 At approximately 4 a.m. on Monday, December 17, 2007, the Beaver Island Fire Department was paged to a "fully involved, unoccupied structural fire." The building is located directly across the road from the fire department according to the radio traffic with no occupants inside. Even though the building that burned had been previously moved after partially being torn down, many remember the building with somewhat less than fondness and others with great fondness. Commercially speaking, the building housed the office of the former Beaver Haven Marina. Before that, it was a home to the Gregg family. Before that it was home to many other families on the Island when it was located on the corner where the Dahlwhinnie Deli and Bakery now stands. One favorite story speaks about the fire burning in the wood stove with a dog's water dish underneath. Nothing unusual about that except that the dog couldn't drink from the dish because the water was frozen. Another speaks about sleeping in the upstairs to wake up with a small snow drift on top of the blankets. They must have been hardier folks back then because today's children complain about it being too chilly in the house when it's 65 degrees. The building had been moved from the Dahlwhinnie location quite a few years ago, had been used as a net shed, and had most recently been used as a storage building. The loss of this building is surely a serious loss to its owner, and the contents are unknown at this time. We are sorry for your loss. 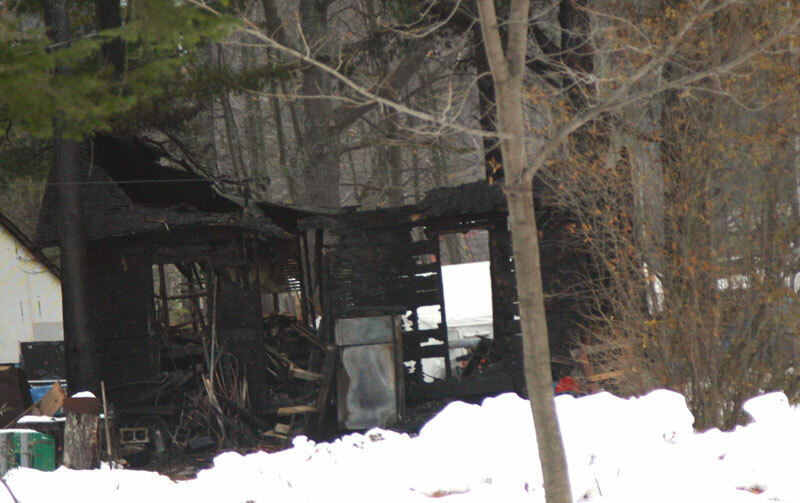 This building that burnt was right next to a truly historical home that was moved to Beaver Island from Garden Island. With the holiday nearly upon us, thanks are to be given that no one was injured during the fire and that it was successfully extinguished by a very competent fire department that protected the surrounding structures. Thank you, BIFD! Well, it was surprising that no one correctly answered this question. Most of the older Islanders will remember that Grant Hart taught in the middle grades and John Murphy taught special education. Joe Moore was not the second lay teacher, but he was the second male regular education teacher. What is the name of the young girl who sang "Ave Maria" without accompaniment from the choir loft of Holy Cross Church many years ago? Hint: She now performs with the Toronto Opera Company. She gathered a group of Beaver Island singers to perform a "Requiem." The games have been cancelled for this weekend because Ojibwe had a variety of students suspended, and so they did not have enough players for either on of their teams. So they forfeited which brings the girls record to 4-0 and the boys to 2-2. 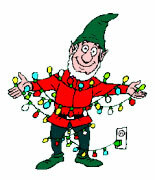 The crew at the Beaver Island Transfer Station, would like to wish all of you a Merry Christmas and a great New Year! Doug, John, Tim and our oldest but hardest working crew member (for 15 years old), "Executive Director of Rodent Control", Little Girl, our cat. The BI Christian Church Cookie Carnival raised over $1300 before expenses this past week. The BI Recorder group including Davi Stein, Jane Bailey, Julie Roy, and Joe Moore, performed there for almost an hour playing Christmas Music, some well known and some unknown. The cookie carnival seems destined to be held on Lillian Gregg's birthday. Here she is working in the kitchen after making the “star” cookies in the hot oil. 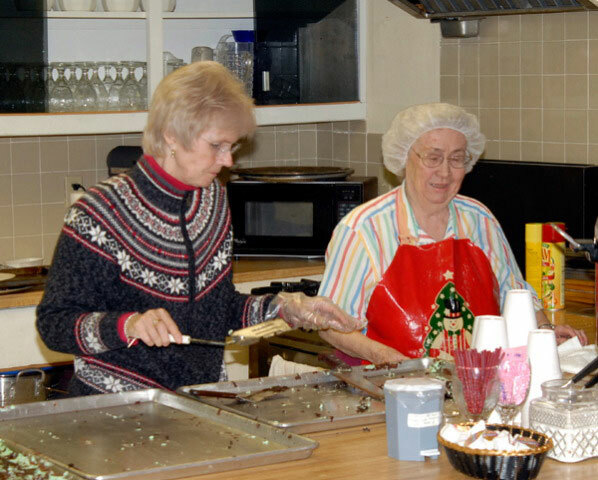 Heidi Connor's get-together at Peaine Township Hall to make gingerbread houses was a hit this past week. The some-to-become-traditional get-together for Beaver Island had become too large to be hosted at the Connor home. This tradition followed Heidi to Beaver Island from Durango, Colorado, where she had provided 16 annual Ladies Only Gingerbread events at her home there. Over 20 people, young and old attended to make and decorate the gingerbread constructions within the theme of "Community Buildings." . 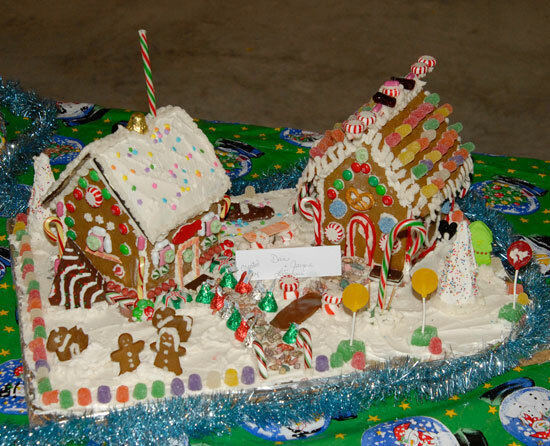 Fifteen gingerbread houses were completed including a traditional Ojibwe home with little Ojibwe children inside. This creation was by Cheryl Podgorski. 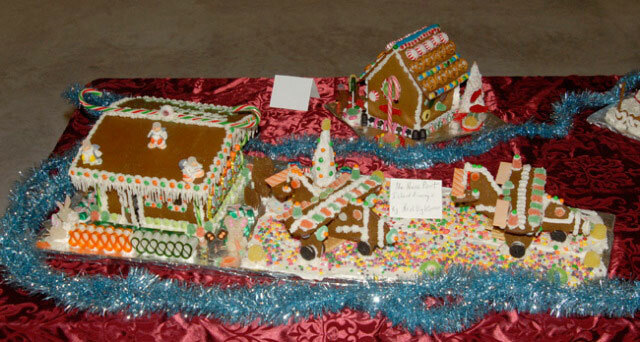 In order to participate, attendees are required to arrive with a baked and ready to assemble gingerbread house. Candy and icing were provided by Heidi Connor along with donations of candy and candy brought by participants. 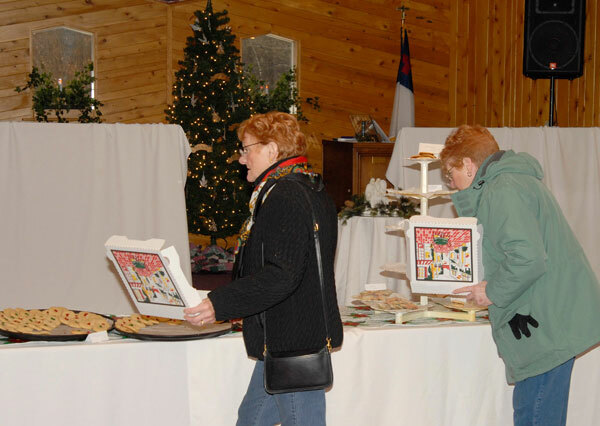 All these completed gingerbread houses were transported to the Gregg Fellowship Center and displayed there on the day of the Cookie Carnival at the Beaver Island Christian Church. A possibility for the theme for next year might be traditional "Fairy Tales." What a wonderful tradition to start and continue here on Beaver Island! Baroque on Beaver festival is scheduled for July 30 – August 3, 2008 for this summer's festival. While it would have been easier to go with full dates in July, the BICAA was respectful of “Museum Week” which is always scheduled around the week that includes the 3 rd Monday in July. We are very pleased to welcome Jason Economides back as orchestral director! This will be the seventh “Baroque on Beaver” and the seventh appearance of Jason—the only difference being the driving distance from Macon , GA rather than Alma , MI ! We are very pleased to welcome Kevin Simons, Choral Instructor from Saginaw Valley State University and Director of the Steiner Chorale in Lansing , to Beaver Island this summer! Together, Jason and Kevin have assembled the beginnings of this year's expanded program—two full orchestral/choral performances, two small ensemble performances, and one additional composite performance. At this point, they are speaking of music by Dvorak, Vaughn Williams, Handel, Bach, Weber, Rossini—and an appearance by Beaver Island 's “own” and Toronto Opera Company's Martha Guth. During the same week, the Music Camp will be expanded to five mornings of vocal and instrumental experiences for Gr. 3-12 students. The Beaver Island Cultural Arts Association has determined to make a strong effort to expand its fund-raising efforts with the hope of moving from a yearly to a more comprehensive, three year plan. A consortium of private foundations, local businesses, and private donors is sought. The BICAA is committed to providing more extensive cultural arts experiences, providing more complete reimbursement for visiting musicians, and generally expanding its vision to look toward exciting possibilities in the future.